A growing business comes with growing expenses. If you focus only on sales then you might be ignoring the bigger picture of your business. Preparing a budget is crucial for sustaining operations as well as for meeting unexpected highs and lows. A budget is an estimate of the expected future performance of your business. Annual targets are great to keep your business on track, but a lot can happen in a year. So it’s better to keep estimates on a monthly basis. You will have better control of your finances. After you’ve budgeted the expenses for the month, compare them against actual expenses for that month. If there is a big gap between the amount spent and estimated then its a cause for concern. You must act in a diligent manner and this will help you to plan ahead for the rest of the year. As an owner, it’s important to separate business expenses from personal expenses. A structured budget plan forces you to calculate and estimate your business income as well as expenses. Doing so is also beneficial to differentiate personal expenses from business expenses. In addition, keeping track of operational expenses helps to prepare accurate tax returns. The most crucial aspect of any business is its returns (i.e. sales), so you must measure sales on a monthly basis. But in case of loss, you must identify other income sources which will help you to run your business. A one-time investment in business terms can be expensive machinery or planning a business retreat crucial for your business. These one time purchases will help to keep your business on track and also protect it from unwanted financial burden. Now that you’ve planned and estimated all the elements its time to place them all together. Start off by dividing each expense into a category like variable expenses or fixed expenses followed by income sources. Doing so will make it easier to place each element correctly in your budget. Also, if you don’t have the time to create a custom budget there are many small budget business templates available online in which you only need to enter data and the rest is done with the click of a button. 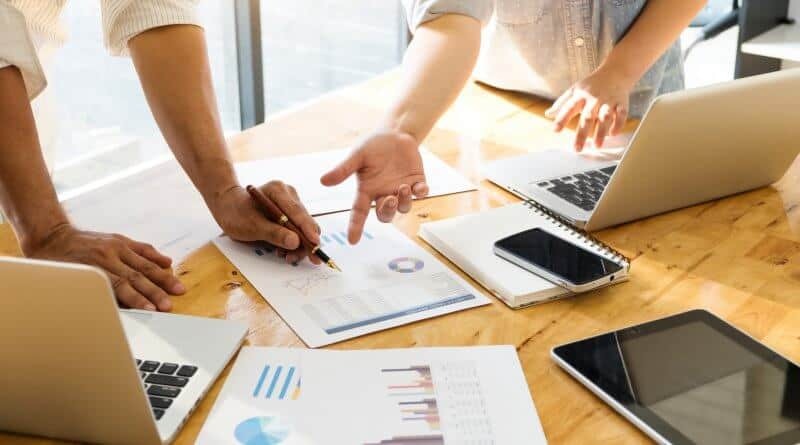 In the end, making a business budget may seem like a hassle, but once you get into the rhythm it is a habit that will pay off in the long run for your small business. Lastly, if you are short on time you can always create one using small budget business templates available online. There are different templates which contain spreadsheets as well as graphical charts. So you can choose the template of your choice and represent data accordingly.